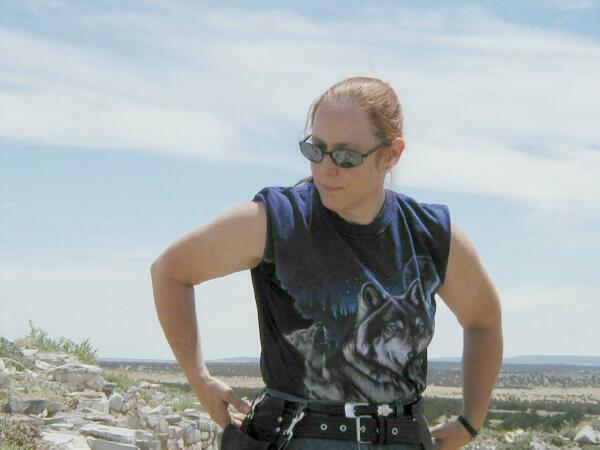 On our first lengthy motorcycle ride, Gryphon and I drove to the village of Mountainair, New Mexico, to meet friends from Motor Maids for lunch. 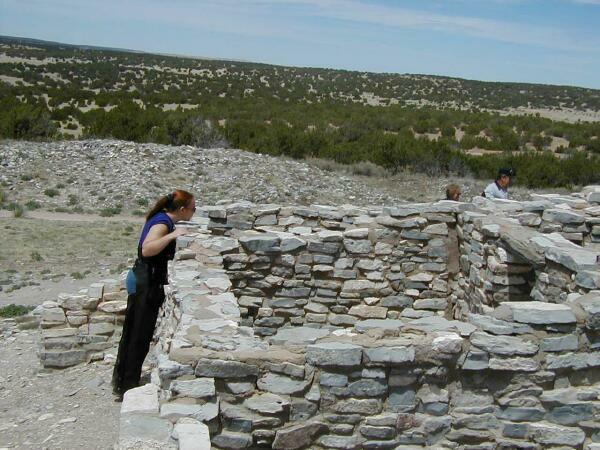 After lunch we all headed out to the Gran Quivira site of the Salinas Pueblo Missions National Monument to explore the historic ruins there. 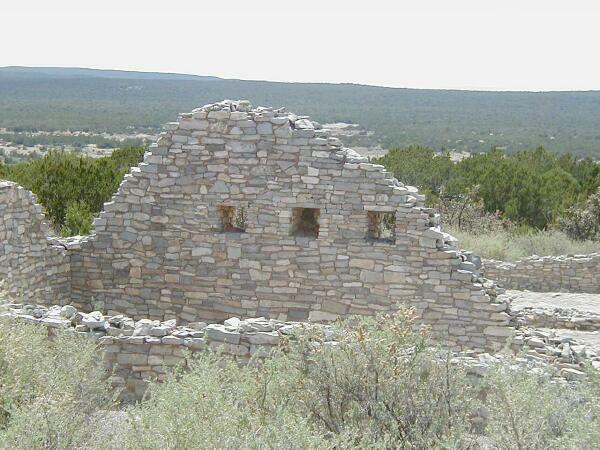 Once, thriving American Indian trade communities of Tiwa and Tompiro speaking Puebloans inhabited this remote frontier area of central New Mexico. 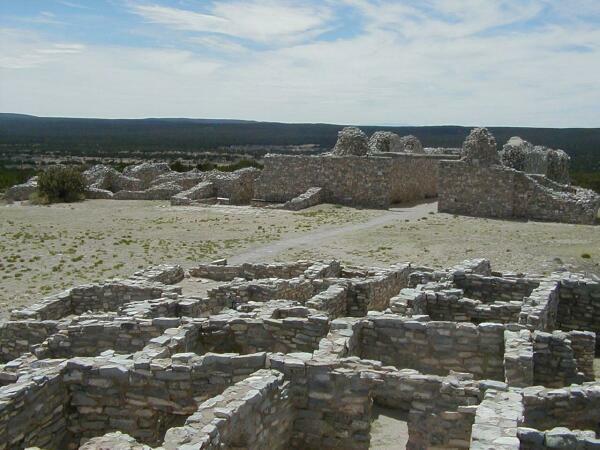 Early in the 17th-century Spanish Franciscans found the area ripe for their missionary efforts. 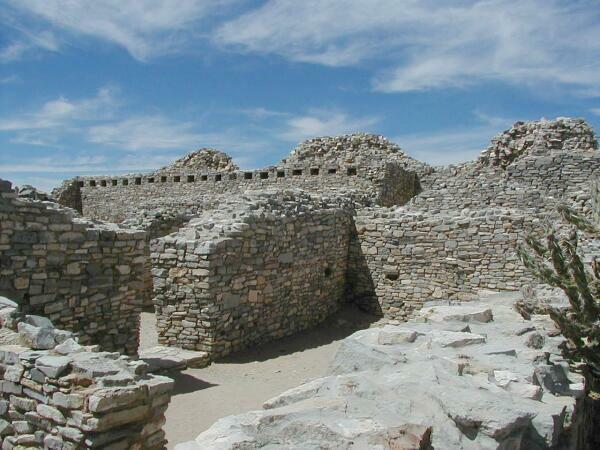 However, by the late 1670s the entire Salinas District, as the Spanish had named it, was depopulated of both Indian and Spaniard. 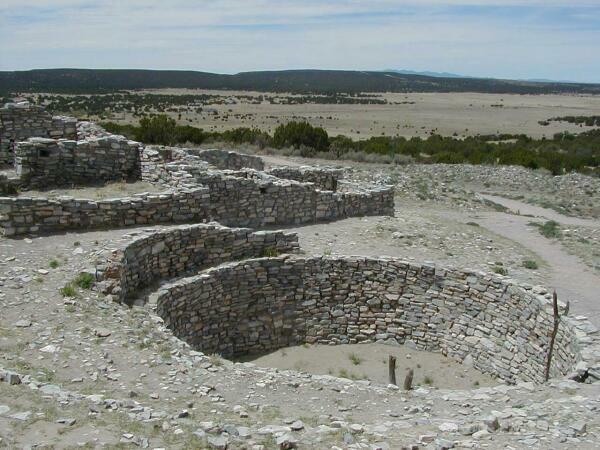 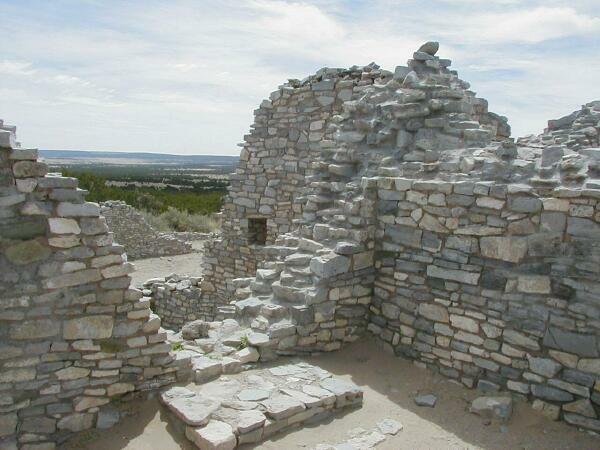 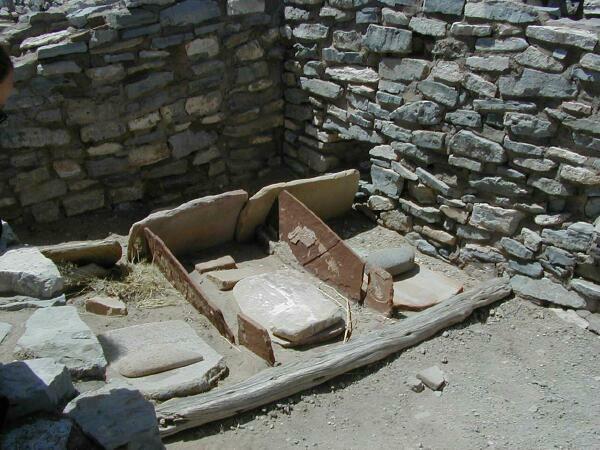 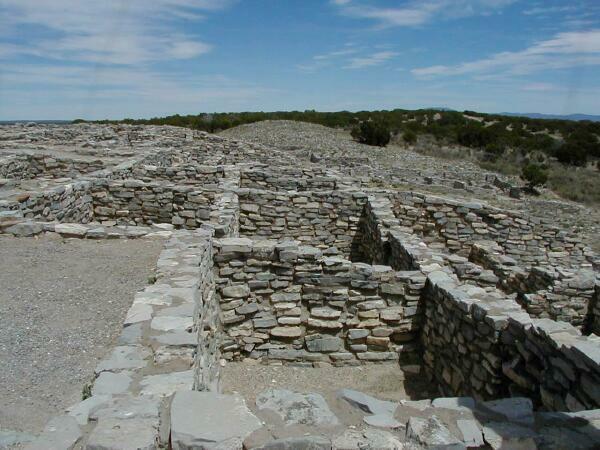 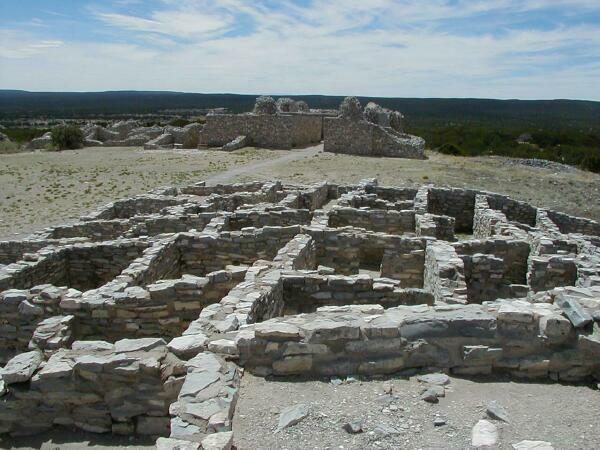 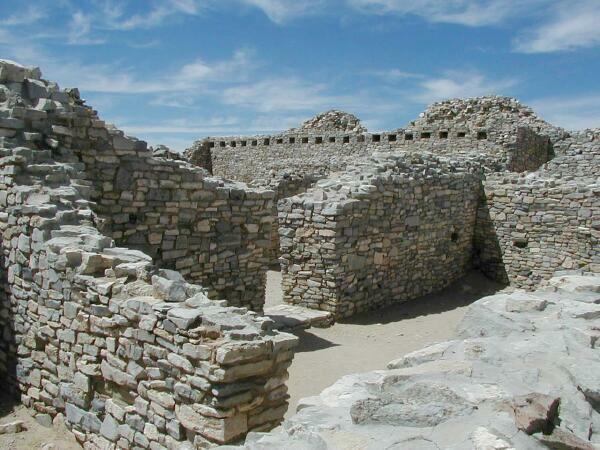 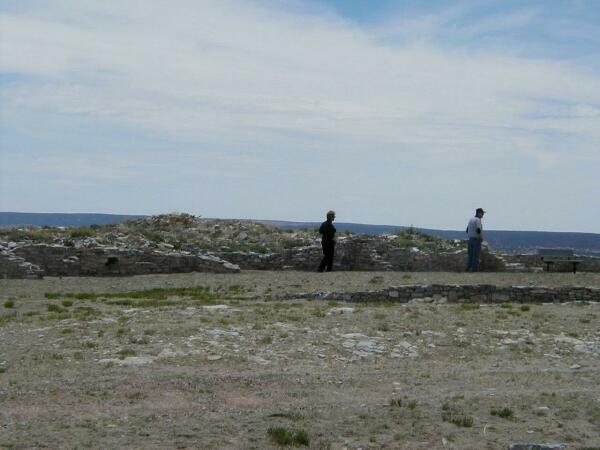 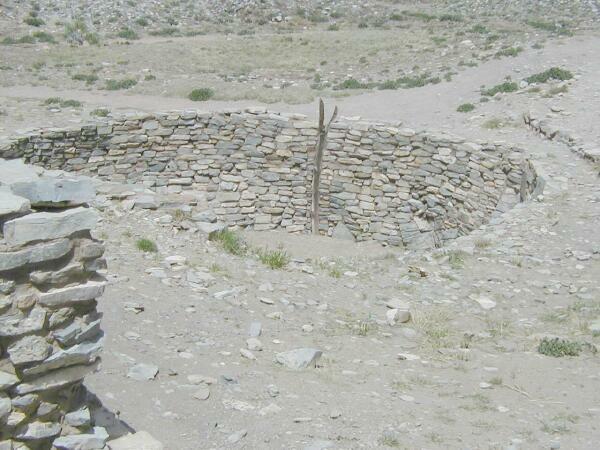 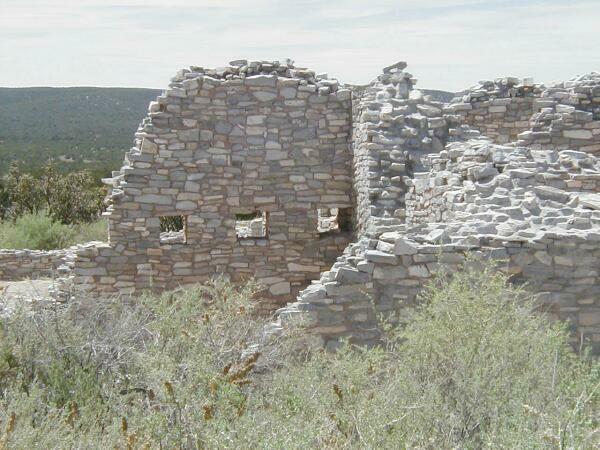 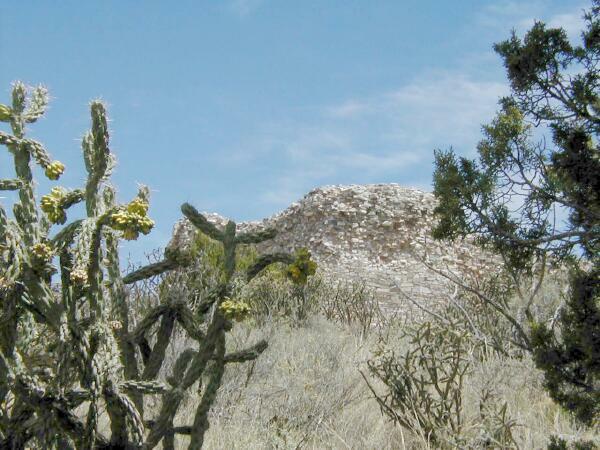 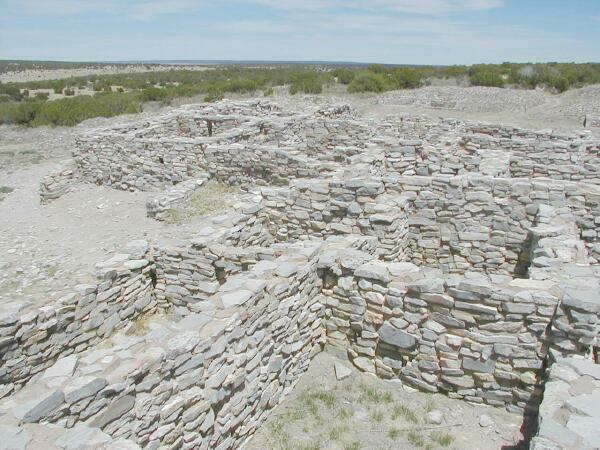 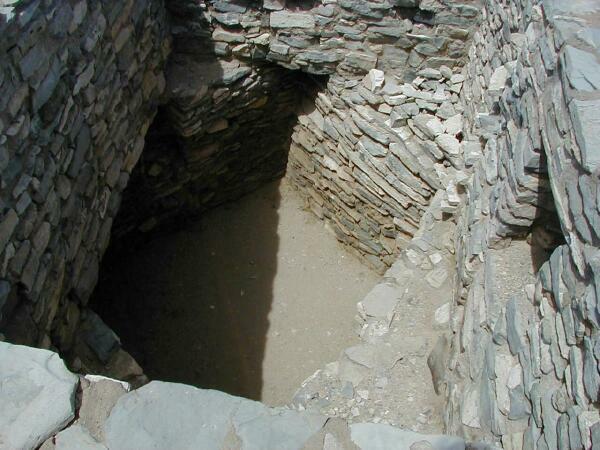 What remains today are austere yet beautiful reminders of this earliest contact between Pueblo Indians and Spanish Colonials: the ruins of four mission churches, at Quarai, Abó, and Gran Quivira and the partially excavated pueblo of Las Humanas or, as it is known today, Gran Quivira. 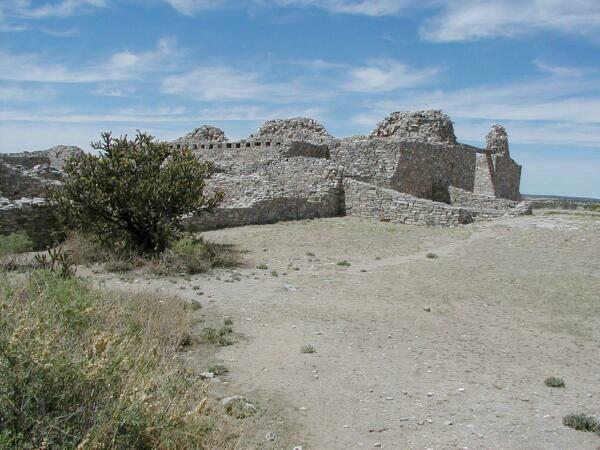 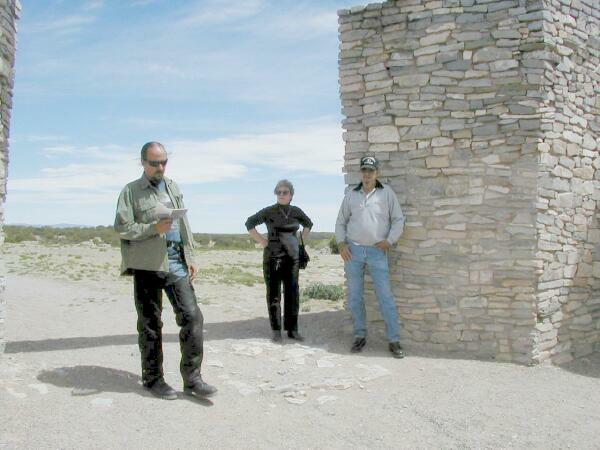 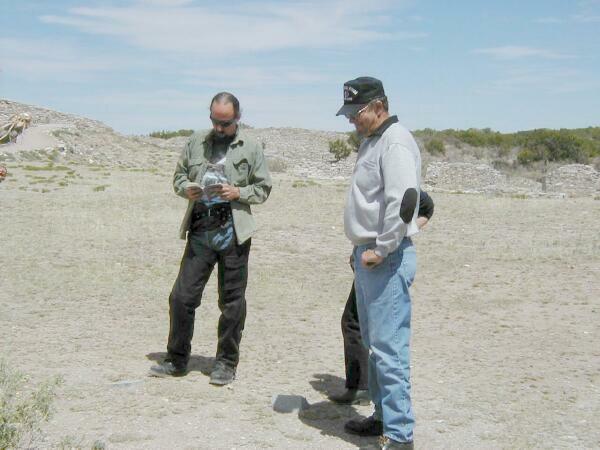 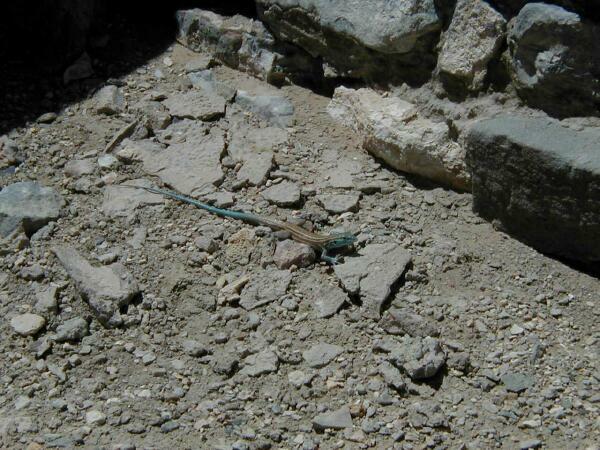 Established in 1980 through the combination of two New Mexico State Monuments and the former Gran Quivira National Monument, the present Monument comprises a total of 1,100 acres.